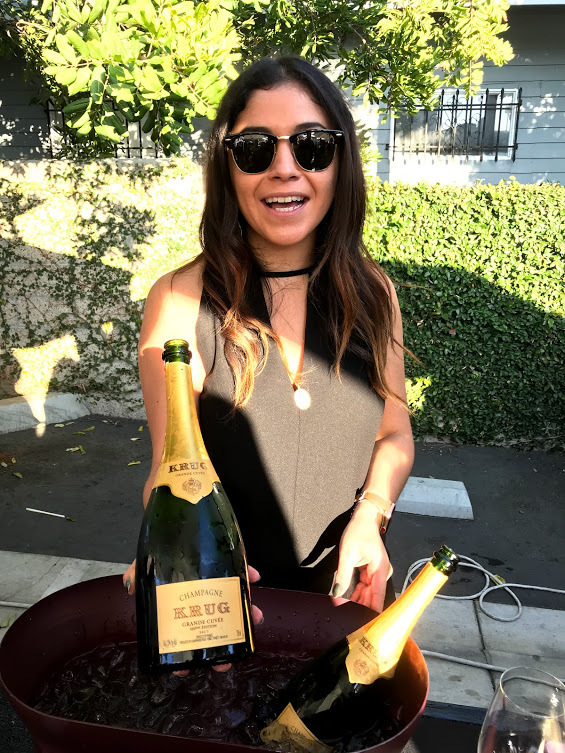 Our 12th Champagne Tent Event is in the books, and it was truly one to remember. 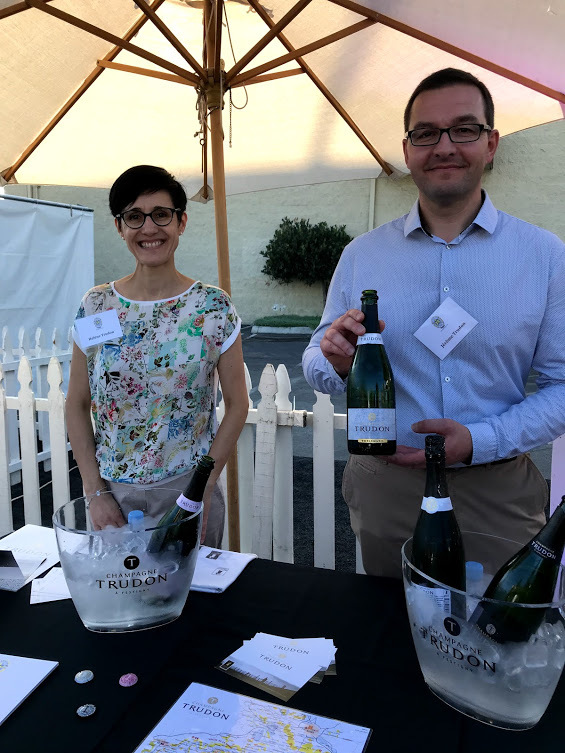 There were 26 producers at the event, many coming to California all the way from Champagne for our back-to-back events in LA and SF. 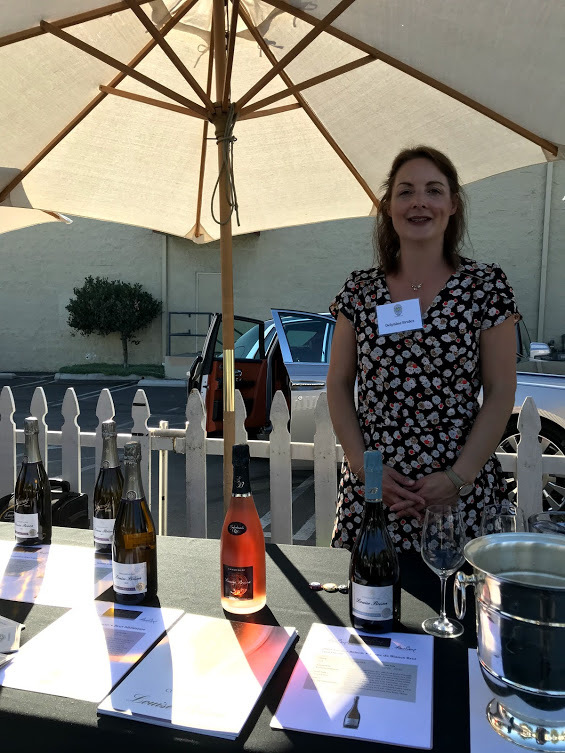 Some, such as Delphine Brulez from Champagne Louise Brison, even made a vacation of the trip and took a drive down the coast (I can’t blame them—current weather in Champagne is in the 40s). 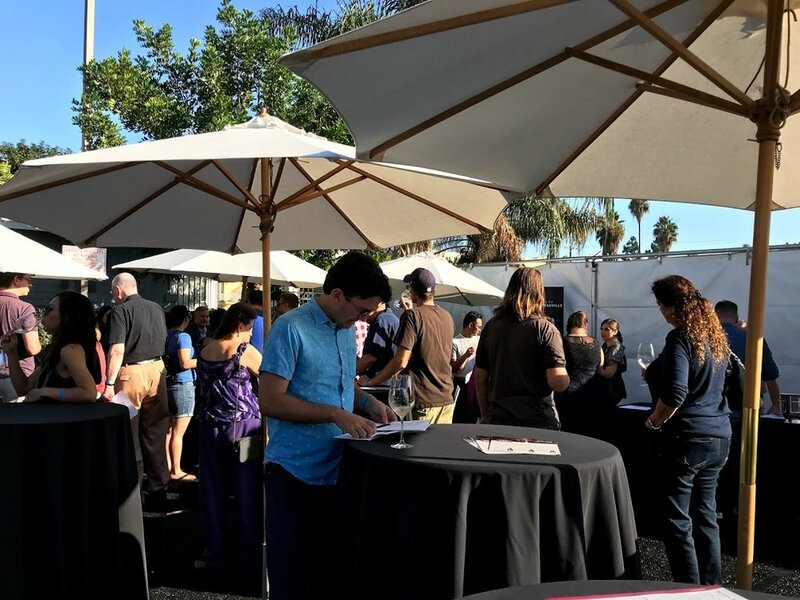 Over 100 wines were poured, which was a great way to quench our thirst on a sunny, warm Saturday in Hollywood. 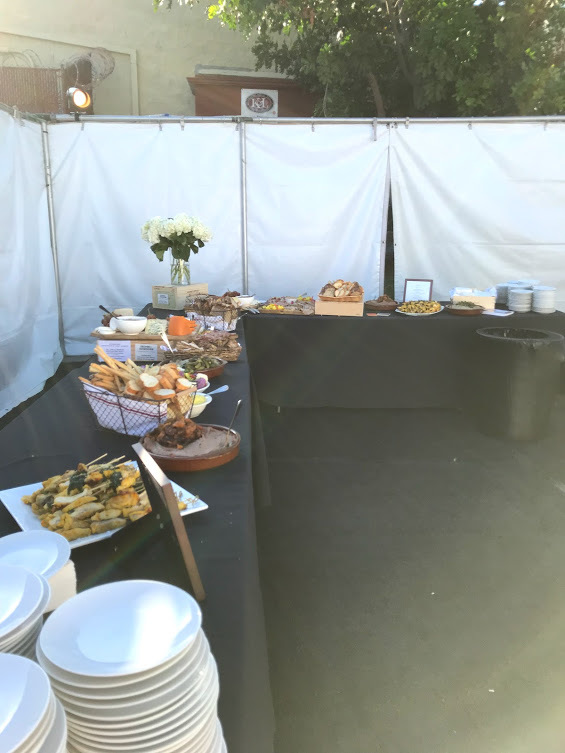 We transformed our back parking lot into a jaunty affair, with an impressive spread by the Los Feliz bistro Barbrix. 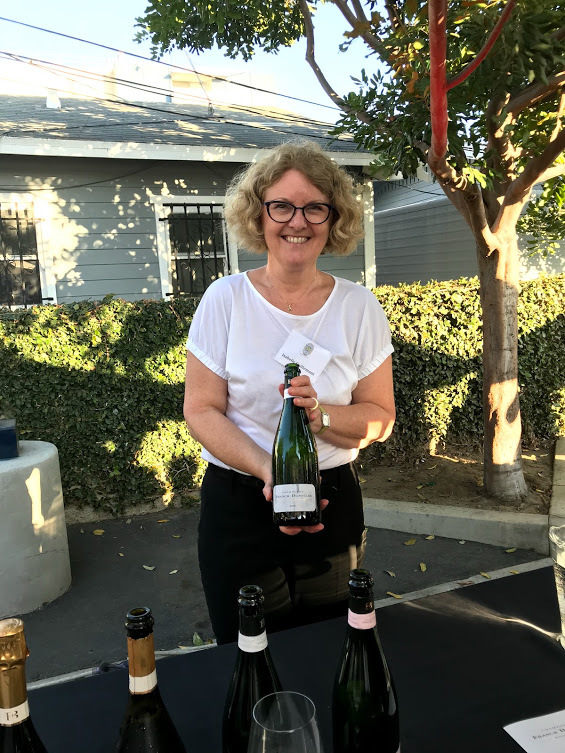 As the 300 guests streamed in and the area filled up, I began bumping into customers I know from tastings or winemakers I’ve interviewed, and the atmosphere grew ever more jovial—you’ve gotta love Champagne for that. For as serious a wine as it is to make, it can make the imbiber feel ridiculously light-hearted and giddy. This was certainly the atmosphere in Hollywood. Had we been revelers at Versailles, I don’t know if we could have enjoyed ourselves more. When you’ve got that many wines to taste, you’ve gotta have a strategy. 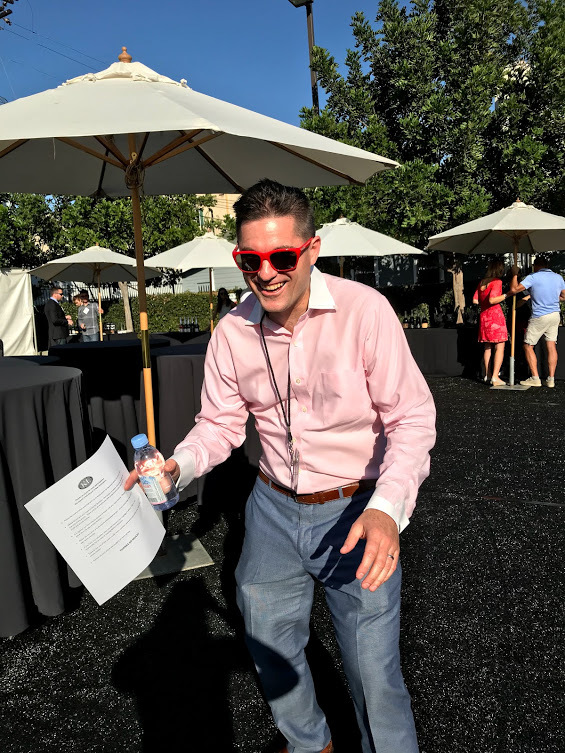 Many guests went straight for the Big Guns at the beginning—Krug, Moet, Dom Perignon, Roederer—which was fine with me—left plenty of space for me to spend time at the less crowded tables and hit the bigger producers once the lines had died down a bit. 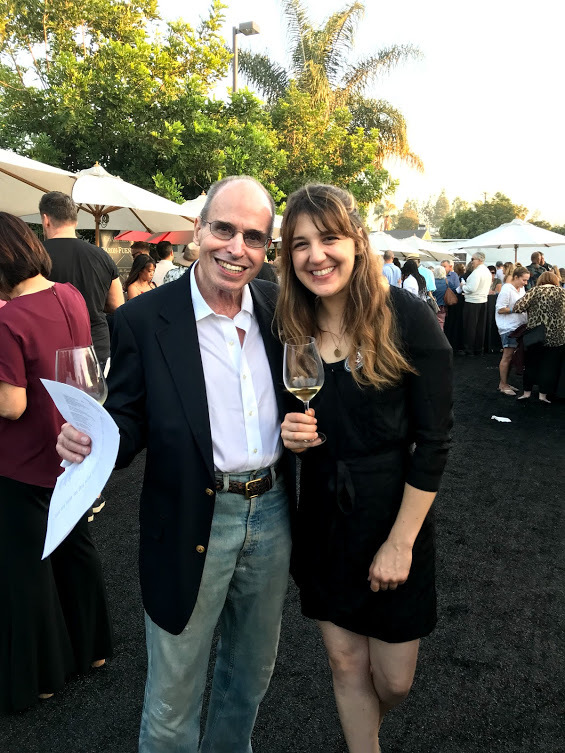 I found some marvelous wines at all points on the price and flavor spectrums—from small producers to long-established stalwarts. Champagne Le Brun de Neuville and Pol Roger were among my favorites, though there were many, many memorable wines that day. And I don’t even think I got to try them all! There was truly something for everyone there. One nice feature of the event is that it helps us connect to our local community and provides K&L the opportunity to give back. We had a silent auction benefiting the Hollywood Police Activities League, an organization that matches up police officers with community programs, providing activities like tutoring and martial arts to keep kids off the streets. So we were able to do some good while drinking the finest bubbly with the finest folks. Thank you to all who came, drank, and made merry. We are happy to have relationships with such talented producers and with such passionate customers. You all helped make the event a success! We hope to see you next year!